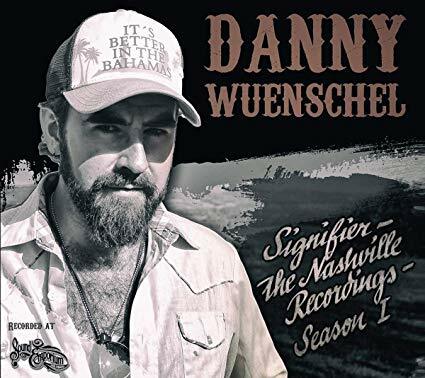 "SIGNIFIER - The Nashville Recordings - Season I "
Recorded at the SOUND EMPORIUM STUDIO in NASHVILLE and produced by Thomm Jutz. Buy on Amazon or download it. 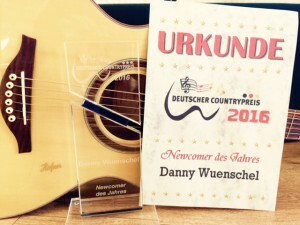 Danny Wuenschel @ "Landesschau Rheinland-Pfalz" click here. 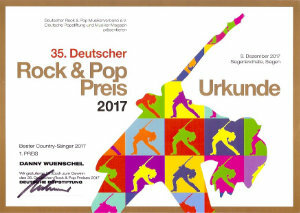 winner: „BESTER COUNTRY-SÄNGER 2017“ winner: „BESTES COUNTRY-ALBUM 2017“ winner: „BESTE COUNTRY-BAND 2017“ *The German Rock and Pop Award is the oldest and largest young festival for rock and pop music groups and individual artists of all music stylistic areas. 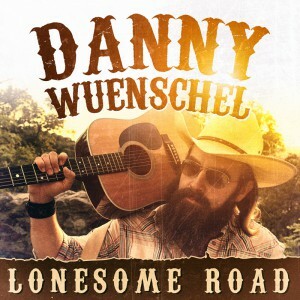 I'm proud to present you my solo debut release "Lonesome Road "! Produced by Christian Schimanski. After ten years of being on tour with his band, the singer, guitar player and bandleader of "Danny and the Wonderbras" will venture towards a solo career as a singer and songwriter beginning in 2016. In this format he could be considered as a real "newcomer". 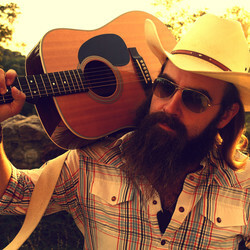 He tries to follow the footsteps of his idols such as Hank Williams, Johnny Cash, Kris Kristofferson, Merle Haggard or Willie Nelson, and he plays from his rich repertoire of traditional American Country songs and own work, those his audiences enjoy listening to and he enjoys performing. 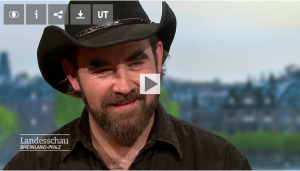 His wish and goal, during his time on stage, is to bring the music flair found in cities like Nashville, Memphis, or Austin to transform a Pub into a "Honky Tonk Bar" and Club into a "Dance Hall", whether he’s alone, in a duet with a companion, or with a complete band, he's always honest, simple and full feeling – just the way real country boys are! Music Laura Wood - nominated as "Best Countrysong 2016"
Howdy, write me, book me!